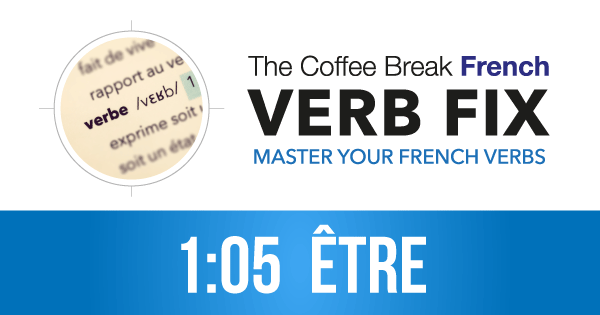 In this lesson we’re looking at the irregular verb devoir meaning “must” or “to have to”, or in some situations “to owe”. 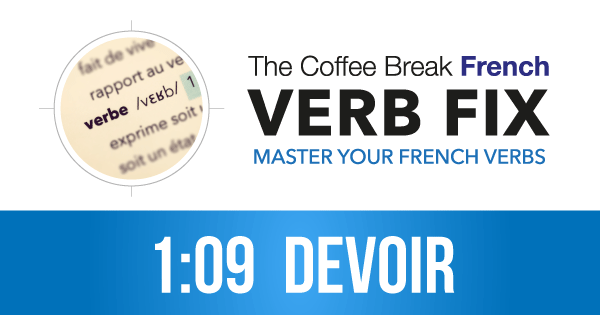 Devoir is another irregular verb so we need to learn each part of the verb as it does not follow the regular patterns. In this lesson we’re looking at the irregular verb vouloir meaning “to want”. 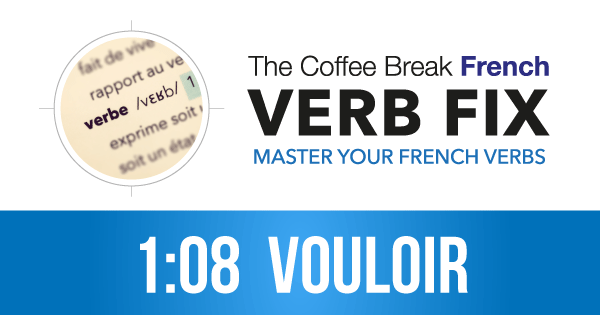 Vouloir is another irregular verb so we need to learn each part of the verb as it does not follow the regular patterns. In this lesson we’re looking at the irregular verb pouvoir meaning “to be able”. Pouvoir is another irregular verb so we need to learn each part of the verb as it does not follow the regular patterns. In this lesson we’re looking at the irregular verb faire meaning “to do” or “to make”. 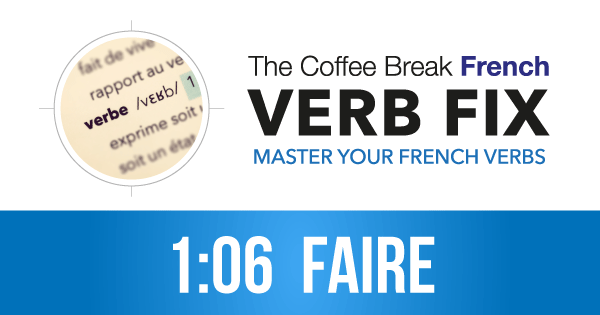 Faire is another irregular verb so we need to learn each part of the verb as it does not follow the regular patterns. In this lesson we’re looking at the irregular verb être meaning “to be”. Like avoir, être is also irregular so we need to learn each part of the verb as it does not follow the regular patterns. In this lesson we’re looking at the irregular verb avoir meaning “to have”. Avoir is the first irregular verb we’ve discussed here on the Verb Fix. 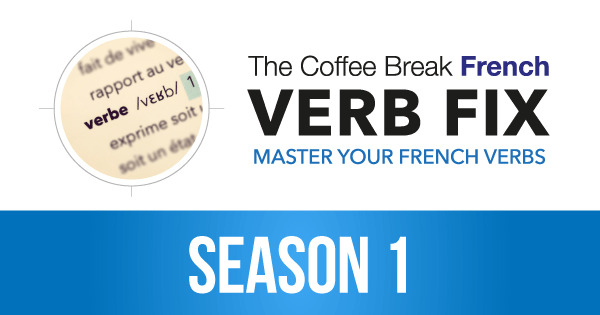 This means that this verb follows slightly different patterns than the regular verbs we’ve covered so far. 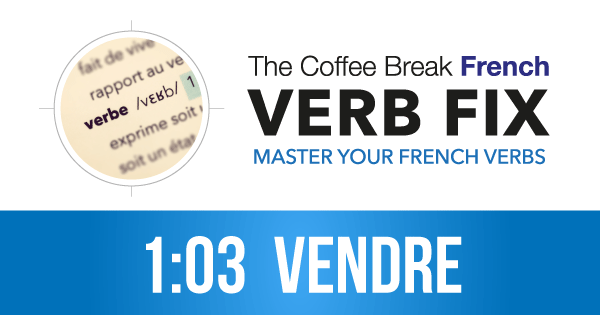 In this lesson we’re looking at the verb vendre meaning “to sell”. Vendre is an example of a regular -re verb. 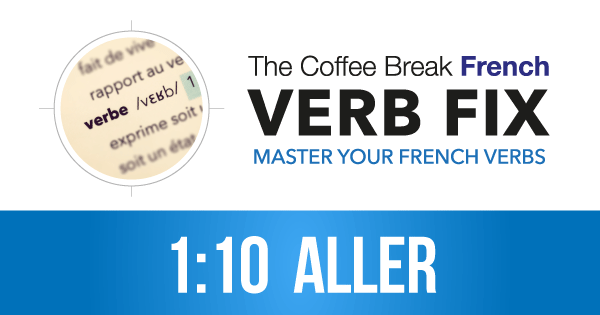 This means that with this lesson not only will you learn to conjugate vendre in the present, perfect, imperfect and future tenses, you’ll also learn to conjugate all other regular -re verbs! 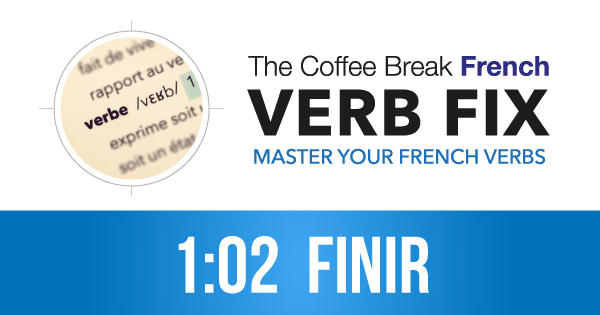 In this lesson we’re looking at the verb finir meaning “to finish” or “to end”. Finir is an example of a regular -ir verb. This means that with this lesson not only will you learn to conjugate finir in the present, perfect, imperfect and future tenses, you’ll also learn to conjugate hundreds of other regular -ir verbs! In this lesson we’re looking at the verb parler meaning “to speak” or “to talk”. Parler is an example of a regular -er verb. 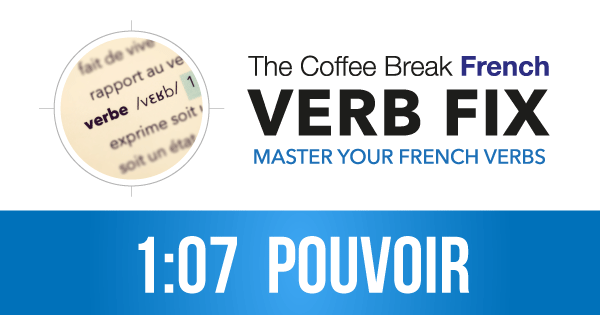 This means that with this lesson not only will you learn to conjugate parler in the present, perfect, imperfect and future tenses, you’ll also learn to conjugate hundreds, if not thousands of other regular -er verbs!